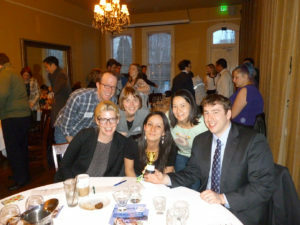 Young lawyers across Oregon believe in justice, and it shows. In the 2016-17 Annual Fund Drive, 675 young lawyers gave to CEJ and raised over $156,000 for legal aid. To put that number in perspective, it takes about $300,000 a year to operate a small rural legal aid office. As a young lawyer, you are the future of the Campaign. Even though Oregon's young lawyers are struggling with student debt and a difficult job market, young lawyers like you demonstrate leadership and commitment to equal justice by giving what you can afford to help meet the civil legal needs of the most vulnerable members of our communities. Your gift, in any amount, helps Oregon families keep food on the table and have a clean, safe place to live. Thank you for your support!